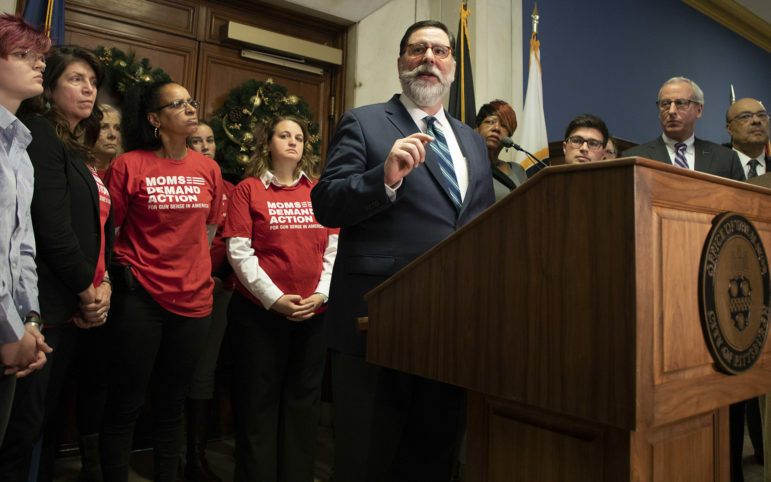 Update 4/9/2019: Pittsburgh Mayor Bill Peduto has signed into law three bills aimed at curbing the use of guns in the city. 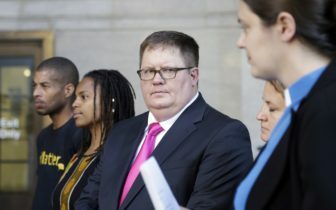 Immediately after he signed, two legal actions, one petition and one lawsuit, were filed against the city in the Allegheny County Court of Common Pleas. The Allegheny County Sportsmen's League filed the petition, arguing that the city's new laws violate a 1995 consent order the city entered into with the group. Firearm Owners Against Crime, the Firearm Policy Coalition, the Firearm Policy Foundation and several individuals filed the lawsuit. It argues that the laws enacted by the city violate "everything from the Pennsylvania Constitution to the Crimes Code" and fail "to comply with the City Home Rule Charter and City Council Rules." "It is unfortunate that City’s taxpayers will be burdened by the City’s elected officials believing it is acceptable — and even gloating — that they are violating the Pennsylvania Constitution and Crimes Code," said the plaintiffs' attorney Joshua Prince with the Firearms Industry Consulting Group, a division of the Civil Rights Defense Firm. Also on Tuesday, four Pittsburgh residents backed by the National Rifle Association [NRA] filed a lawsuit against the city in county court. That suit challenges the city's ban on publicly carrying loaded magazines with more than 10 rounds of ammunition and says the law violates the plaintiffs' constitutional rights. You can read the three legal challenges here. A few hours after Pittsburgh City Council voted 6-3 today to pass landmark gun control legislation, the National Rifle Association [NRA] said in a press release that it filed a lawsuit against the city in the Allegheny County Court of Common Pleas. However, an NRA spokesperson confirmed that the announcement was premature and no lawsuit has been filed yet. The bills were proposed as a response to the Oct. 27 mass shooting at Tree of Life synagogue in Squirrel Hill. In their current form, the bills restrict the use of automatic and semi-automatic guns, restrict the use of certain firearms accessories and allow local authorities to remove guns from a person’s home if they are served with an extreme risk protection order. NRA spokesperson Amy Hunter said in an email sent at 6:37 p.m. that the announcement of the lawsuit was premature. “We’ll file as soon as the bill is signed — so stay tuned!” Hunter wrote. Tuesday’s vote echoes similar action from 1993 when city council members voted to ban possession of automatic and semi-automatic weapons in the city. That law was later overturned by the Pennsylvania Supreme Court on the grounds that it violated the state’s preemption law which says local municipalities can’t regulate guns. After Pittsburgh City Council passed the 1993 ordinance, state lawmakers amended the Uniform Firearms Act to specifically restrict individual municipalities from adopting their own gun regulations. The history was not lost on council members as they took their votes. Responding to the three council members — Councilman Anthony Coghill, Councilwoman Darlene Harris and Councilwoman Theresa Kail-Smith — who voted against the legislation and said gun regulation was a state issue Council President Bruce Kraus said the state has “worked against” Pittsburgh during his 12 years on council. Councilwomen Harris and Kail-Smith, who represent the North Side and the West End respectively, both said they could have supported a non-binding resolution asking the state to change its gun laws. State lawmakers twice tried to make it easier for municipalities like Pittsburgh to be sued if they enact gun laws, a response to a 2008 ordinance in Pittsburgh that requires gun owners to tell law enforcement if they realize their guns have been lost or stolen. The NRA has twice sued the city over that ordinance, which is not enforced. After council members cast their votes today, about two dozen supporters of the bills — primarily from the groups CeaseFirePA and Moms Demand Action for Gun Sense in America — applauded in a standing ovation. From the back of the room, a handful of people opposed to the bills shouted boos. The commotion lasted for about a minute before Kraus gaveled the room to order again. The Pennsylvania chapter of Moms Demand Action, an advocacy group that pushes for gun control laws, applauded council’s vote in a statement. 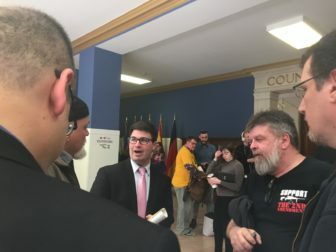 Rob Conroy, director of organizing for CeaseFirePA, a statewide gun legislation advocacy group, credited council for passing the bills on Tuesday. “I’m very pleased council is trying to make the most of its position and address the bodies that have been piling up in our neighborhoods for years and address situations like that unbelievably awful, hate-filled massacre at Tree of Life,” Conroy said. The Brady Campaign to Prevent Gun Violence also applauded city council’s vote on Tuesday. Lawyers from that campaign helped defend Pittsburgh’s lost and stolen legislation. Jonathan Lowy, chief counsel and vice president of the Brady Campaign’s legal division, spoke out against Pennsylvania’s laws that attempt to bar municipalities from passing gun laws. In an initial statement announcing the NRA’s lawsuit against the city, attorney David Thompson said the preemption laws are clear. 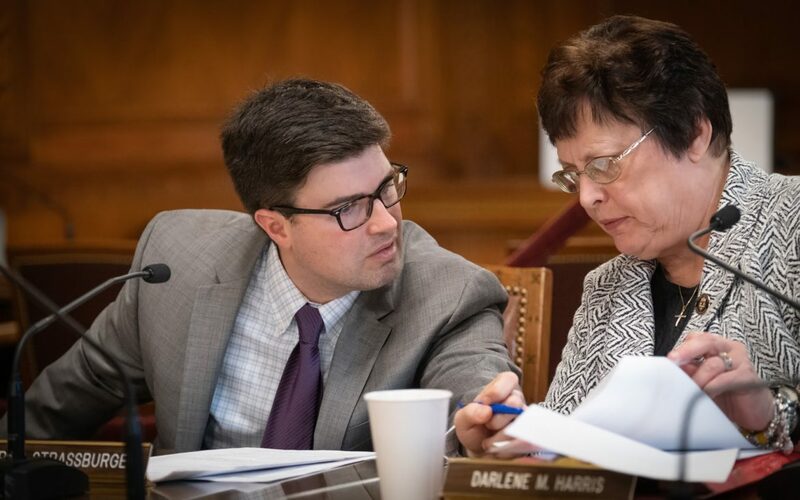 “Pennsylvania courts have repeatedly struck down Pittsburgh ordinances that attempted to regulate firearms in defiance of state law, and we are confident that this latest ordinance will meet the same fate,” he said. Among those opposing council’s vote today was Dennis Jordan, a resident of Pittsburgh’s Lincoln Place neighborhood. During the public comment period of the council meeting, Jordan said he opposed the bills because he needs guns in his home for protection. Jordan told council it takes city police officers 45 minutes to get to his home and that if he or his family were in danger, he would need guns for protection until law enforcement arrived. The bills do not broadly prohibit residents from owning guns. The legislation applies to automatic and semi-automatic weapons and accessories and firearms in the possession of individuals deemed a risk via court order. The legislation defines “use” as loading ammunition into a gun or a gun accessory, carrying a loaded gun outside of a home or firing range, pointing a gun at someone or firing. Specifically, the first of the three bills says people can’t fire or carry loaded automatic and semi-automatic guns in the city. People could still buy and own those weapons in Pittsburgh but only use them at a firing range, according to the legislation. Mary Konieczny, a South Side resident, also spoke against the measures during council’s public comment period. She owns guns, she said, and opposes the measures because she doesn’t believe city council members have the right to regulate guns. The bills will become law if Mayor Bill Peduto signs them. Timothy McNulty, the mayor’s spokesperson, said Peduto plans to sign the three bills but has not yet set a date. Council members anticipated lawsuits like the one the NRA announced, according to Councilman Corey O’Connor, one of the primary sponsors of the legislation. O’Connor and Councilwoman Erika Strassburger lead the charge on the gun ordinances after a gunman shot and killed 11 worshipers at the Tree of Life synagogue. After the meeting, O’Connor was approached by Dennis Jordan and other opponents of the ordinances. O’Connor said he attempted to convince them the legislation wouldn’t affect their ability to own guns. “I tried to make the point to them that we are not taking your gun that you already own. We have every right to disagree on this,” O’Connor said. City council recently amended the bills significantly, changing the language of the bills from banning possession of assault weapons to banning their use. O’Connor said the amendments were necessary to give the city a better chance of success if challenged in court. “We're doing specific things in order to hopefully win if there's a court challenge,” he said. Councilman Anthony Coghill, who represents neighborhoods in the South Hills of Pittsburgh, said he doesn’t think it’s worth it for the city to fight lawsuits against the legislation. Coghill had originally supported the legislation and was listed as a co-sponsor. On Wednesday, he asked the city clerk to remove his name from the bills before he voted against them. Councilwoman Kail-Smith, who voted against the bills, raised the concern that the legislation would do nothing to prevent daily gun violence in Pittsburgh and argued it could lead to the over-policing of black and brown people. “We had a very different reaction after the Tree of Life than we have to the homicides that occur in the city on a regular basis,” she said, referring to the fact that more shootings in Pittsburgh often involve handguns rather than automatic or semi-automatic rifles and that shootings with handguns garner less publicity. In response, O’Connor said success at regulating the use of of automatic and semi-automatic weapons could be adapted to future action to reduce violence involving handguns. “If we're successful at arguing ‘use’ at the higher court level if it gets to that point, why can't we now talk about use of handguns and daily violence we see in almost all of our neighborhoods?” he said. And on the issue of the ordinance leading to over-charging of individuals? “To me that actually goes along the lines of policing more than anything else,” he said. Conroy of CeaseFirePA said Pittsburgh’s vote should send a message to lawmakers at the state and federal level. Clarification: This story has been updated to better reflect the legal process that must occur before local officials can remove firearms from a person's home under an extreme risk protection order. Editor’s note: This story has been updated because the NRA said it prematurely sent out a press release announcing a lawsuit against the city. The NRA intends to file at a later date.